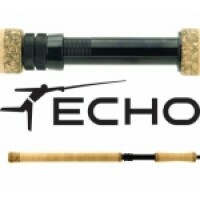 Designed by Jake Jordan specifically for the demands of offshore fly fishing, these rods combine the ability to quickly deliver large flies accurately and to then sustain the significant lifting force necessary to fight and land large pelagic species. The foundation of the SG Series is a hybrid blank engineered with a carbon fiber upper section and a proprietary S-Glass weave in the lower section of the rod. The carbon fiber upper section underpins the efficient casting action and tip recovery necessary for fast, on-target casts; and after hookup, the S-Glass lower section delivers superb strength and a shortened lever capable of dead lifting over 10 pounds at a 90-degree fighting angle. The Bluewater series helped Jake land over 1,000 billfish on fly and, in the process, it has become the most widely used bluewater fly rod in the world. Weve kept the same basic and proven actions with carbon fiber tips for ease of casting that blends into S Glass butts for powerful lifting. A brilliant addition is our use of Axiom II single filament S Glass applications within the walls of the blank  a pattern that controls and smooths ovaling better than the old TiCr process. Actions are smoother and power range is greater. We know youll appreciate the difference. The Baby and Light Duty remain finished out with composite cork split grips, traditional snake and stripper guides and are 9 4 piece. 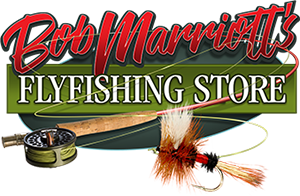 The 8 ½ 4 piece Mid Duty and Heavy Duty rods are finished with a single lengthened composite cork fore-grip that allows one to adjust top hand placement when fights can take a hour or more. Further, they feature full aluminum oxide insert guides and tip tops. Cordura/PVC cases are included with the family as well.